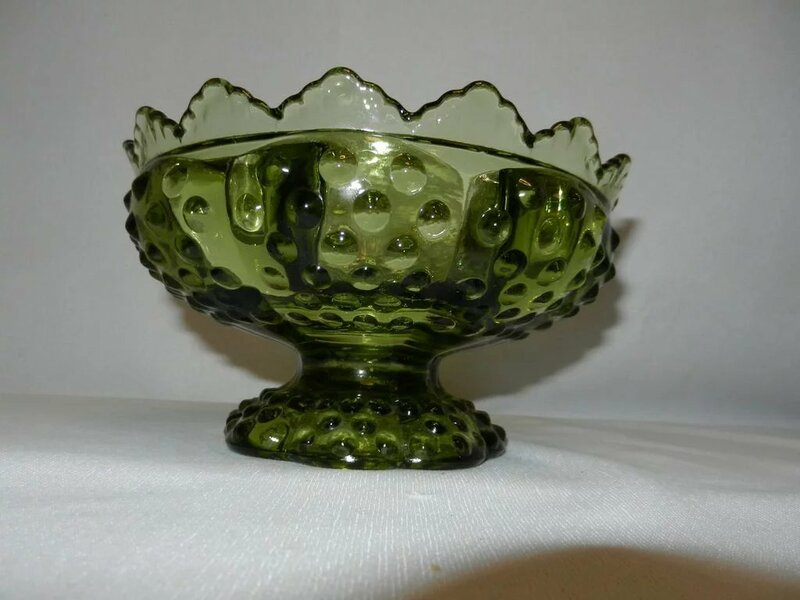 Vintage Colonial Green Hobnail footed candle bowl produced by the Fenton Glass Company. 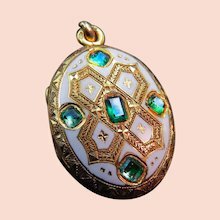 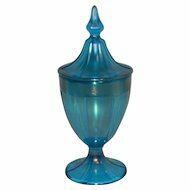 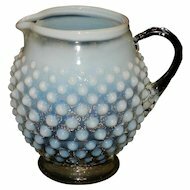 Fenton Glass also produced this pattern in blue & white slag, light green milk glass, milk white, custard, amber and teal blue. 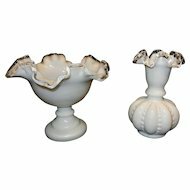 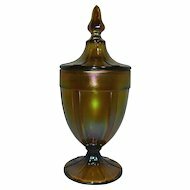 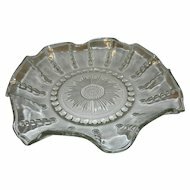 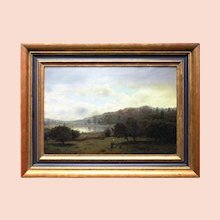 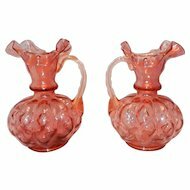 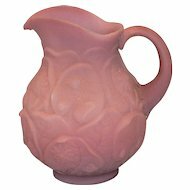 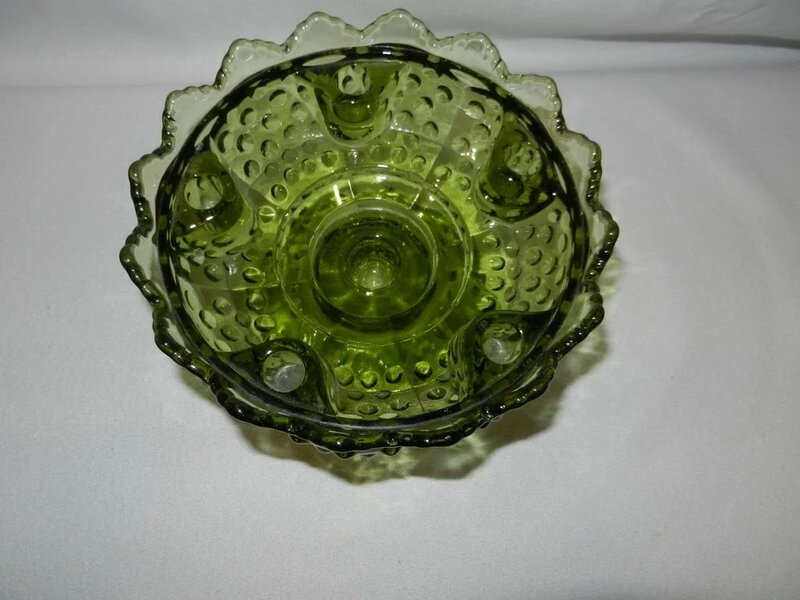 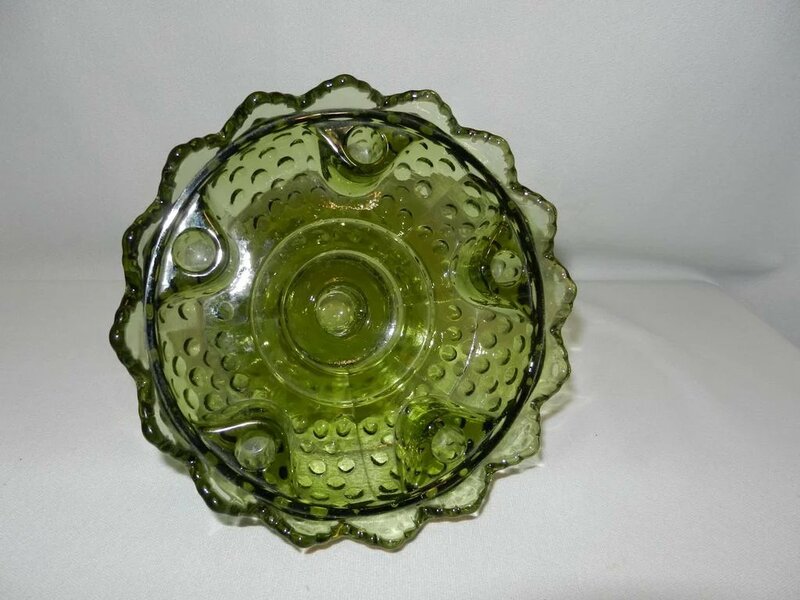 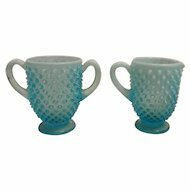 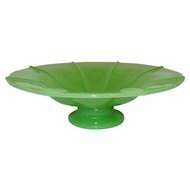 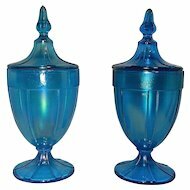 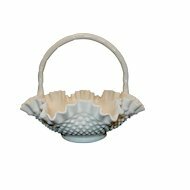 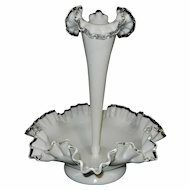 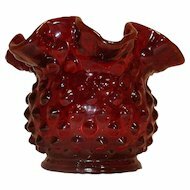 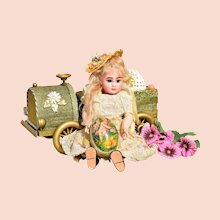 Fenton Glass first introduced in 1939 the Hobnail pattern and then later in 1960 came the introduction of the transparent color Colonial Green. 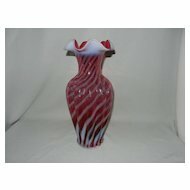 A unique piece for the Fenton Glass collector. 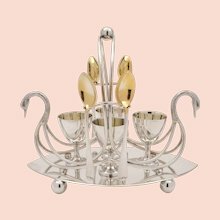 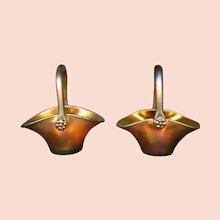 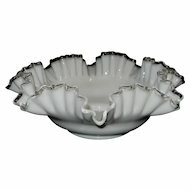 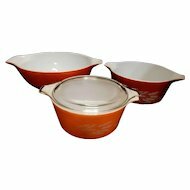 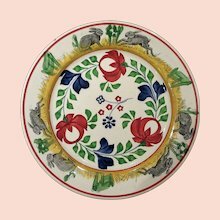 The condition of the candle bowl is excellent with no chips, cracks or other imperfections. 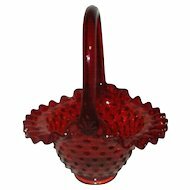 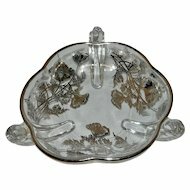 The unique footed candle bowl measures 3 5/8” high and 6 ½” in diameter.